A night time facial oil that visibly restores the appearance of skin.This potent 99.8% naturally-derived and paraben-free botanical elixir works all night to regenerate, repair and replenish the skin barrier for younger-looking skin by morning.This top-rated face serum is formulated with ingredients like Lavender Essential Oil and Evening Primrose Oil to replenish skin by morning. Explore the entire range of Serums & Essence available on Nykaa. 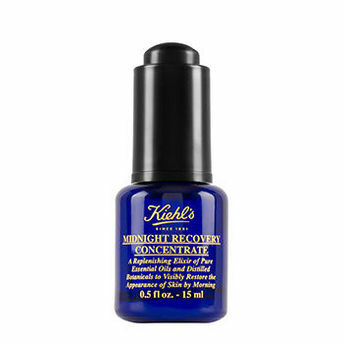 Shop more Kiehl's products here.You can browse through the complete world of Kiehl's Serums & Essence .Alternatively, you can also find many more products from the Kiehl's Midnight Recovery Concentrate range.